The UK solar industry has had a few major ups and downs in the past few weeks, with first a record amount of energy production at around 15% of the UK’s usage in July, and then the subsidy cuts, which will effectively reduce the amount of money small systems can make from installing solar, it’s easy to say that it’s been a rollercoaster, and it’s easy to see why. When the Department of Energy and Climate Change made the same cuts to farms and solar installations of 5MW and higher in April, production largely stalled, with larger farm applications mostly coming to a halt after the government payments stopped being guaranteed for new farms on July 22nd. While many people suggest that could happen for smaller systems and residential/domestic installations, experts say that’s just not true, and in fact, that the UK’s solar future is brighter than ever. Five years ago, you could earn around £1,000 per year with a 4Kw system, which has now dropped to between £500-800 depending on where you live. While this might seem like a large drop, it’s important to consider that while earnings have dropped by anywhere from 1/3rd to ½ depending on area, costs have dropped as well. 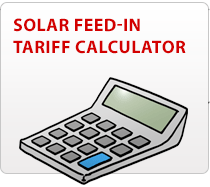 In 2010, the cost of installing a relatively small domestic solar installation of just 4Kw was right around £12,000, today, it’s usually between £5,000-6,700, meaning that it’s also less than half the cost in some cases, and set to keep dropping. So while earnings are less, you can get a higher earnings to investment ratio return, meaning that you can pay the panels off more quickly. With that kind of data, small scale systems simply don’t need subsidiaries to keep boosting solar installations, because price drops are covering the lost funds. For residential homes with a 4Kw system, this means earning anywhere from £500-£750 per year depending on location, plus savings on your energy bill, which usually amounts to around £100 per year. These earnings are also tax free. Essentially, a basic 4Kw home system can still pay itself off in 7-10 years, although that rate will depend somewhat on which part of the UK you live in, and if you’re lucky, it can actually be sooner. Commercial rooftops also aren’t suffering for their solar installations and many are already claiming returns after only 6-7 years. With both Amber Rudd of the Department of Energy and Climate Change and Andrea Leadsom, Minister for Energy and Climate Change, showing strong support of commercial and industrial rooftop systems, it’s not hard to see where they think the UK’s major solar potential lies. One example is that with an average 10.2% return on solar panels over a 25 year period, they’re actually a sound business investment. They also provide businesses with an easy way to go green, to help boost sales revenue based on customers looking for socially and economically responsible brands. Industrial solar installations may have largely come to a halt after the cuts to solar farms larger than 5MW, but farms are still being installed. In fact, there are more than 120 solar farms either installed or in the works in the Somerset and Devon areas, which are set to provide nearly half of the areas power once all of them are producing. 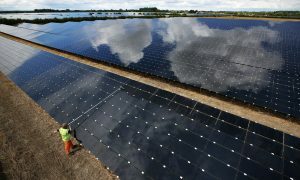 With nearly 600 projects in the works according to the UK Ground Mount Report 3 by Solar Intel, the UK’s solar pipeline is set to 3.3Gw after completion, sometime between 2016 and 2018.. Of course, all of them submitted before midnight on July 2015, the cutoff for the subsidiaries for solar farms larger than 5Mw, but 3.3Gw is still a considerable amount of power. 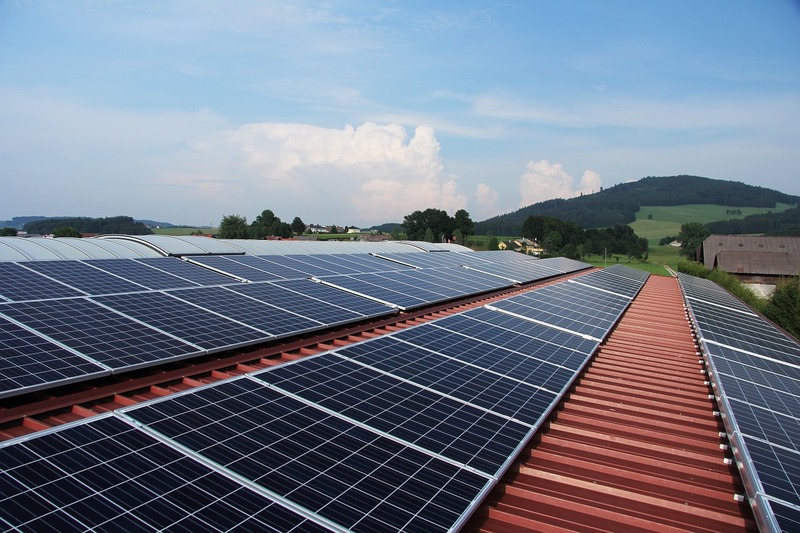 Considering that most solar farms are also going full steam ahead with expansions, and city councils like Carmarthenshire are installing solar panels on thousands of homes, solar is definitely not coming to a halt in the UK under any definition of the word. With the Uk’s solar production up some 150%, the country is producing more solar energy than at any time in the past. 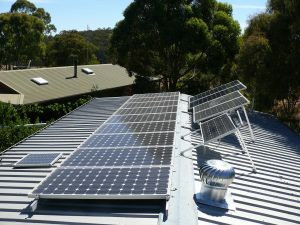 In fact, if prices on solar panels continue to drop, most of the country could see a rapid expansion in the amount of solar panels found on rooftops and carports, as solar panels pay themselves off faster. With major company reports offering estimates suggesting anywhere from a 25-40% drop in costs in the next 2 years alone, that could come very, very soon.